Important note: I try to play this release through the recommended way of installation but that directly make the game crash through sound missing. I decided to move the pk3 file directly to COD/main folder and after simply launching the original game it too By default OMG. I won't start reviewing each map separately and will make a general approach for this quite major release. First of all OMG was quite delayed through conflict into rights according the BD team so that it went out not perfectly beta tested but still fully playable. The whole pack comes with a lot of movies, document (well done), starting page and even an outro small sequence in 2d like the one available in both original releases. Design and realisation of those small cutscene, documents, voice acting (include text shown) was done in a real professional way. 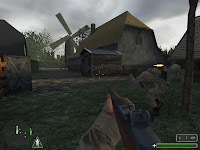 The succession of maps through the Market Garden campain was organized with respect with the happening of them through the original campain (this may look wierd regarding through the player aspect since you will change from american to english soldier in a sometimes confusing mission, especially though the fact you didn't play as a red beret for the english mission), it would have been perhaps better to split every mission like a succession of british and american campain. 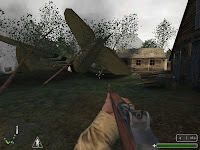 First missions mostly start with a droping or landing cutscene (dam well done) and after directly immerged youself into the battle for all those Dutch bridge. Except some wierd behaviour of skybox (not really damagable) all maps are quite well put together they are not perfect but quite from an above average quality (some mirror aspect stil bother me like the slowly moving plane in Artenstein?, all those bombing experience that doesn't toutch a tree or keeps the building undestroyed, ord those exploding traps that try to make you progress in a certain direction Arnhem map) But most of all and regarding the choice of texture coming from the original game and not always fitting the Dutch 'layout'. There is a good fluidability and also a good cohesion between maps regarding the fact they were created by different mappers. some Bridge archtiecture are really brilliant even in dark maps. was is also to be noticed is that maps even while using huge open area doesn't have some 'slow' behaviour. 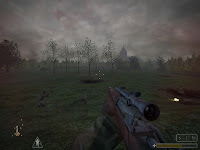 Gameplay is well organized in a real mission team and doesn't look to repetitive (since you switch a lot from britich to american) there is also a driving mission and some other surprise. 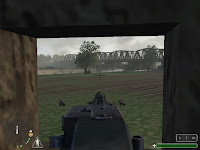 I whish that there could have been a protecting bridge mission as a snipper or using a Flak to resist a tank assault. 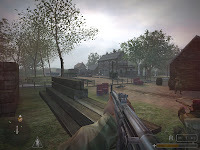 Health, ammo and weapon are well spread over the whole release and provide a good challenge especially in Oosterbeek mission. Objective are clear an varied a lot from map to map. to create some sneaking mission or intense battle. In conclusion: Regarding the amount of peoples that were involved into the team and the final release. I, like a lot of people, may look a little disapointed especailly regarding the beautifull Beyond Rostov that was mostly done by only one person. There are certainly minor flaws, and the problem inside the team certainly leads to a distructive ambiance, which certainly makes a quite good excuse. 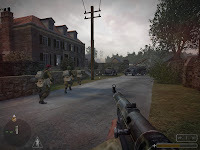 Hopefully it came out and retrace a important page of end war history (mostly considered as the last real defeat in the europe WWII campaign) For this we shell really be grantfull to the small part of the team that keep out doing a great job and make us able to play another major and recommanded release.